Katerina Tikhonova is the younger daughter of Russian President Vladimir Putin. Check out this biography to know about her childhood, family life, and interesting facts about her. Katerina Tikhonova is the younger daughter of Russian President Vladimir Putin. She is an acrobatic dancer and is associated with the Moscow State University (MSU). The website of MSU also mentions that she is attached to the Mechanics and Mathematics Faculty and is a co-author of a chapter in a math text book as well as six scientific papers since 2011. She is running two publicly funded projects at the University, the National Intellectual Development Foundation (NIDF) and the National Intellectual Reserve Centre (NIRC), and oversees Innopraktika, a $1.7 billion project to expand its campus. She has reportedly signed contracts worth several million dollars from state-owned organizations that she directs. In March 2015, she was appointed as a deputy vice-rector of the university. She participates in the niche dance discipline, acrobatic rock‘n‘roll, in which a dancer couple performs a mixture of energetic dancing and virtuosic acrobatic moves. In 2013, she and her partner came fifth in a world championship event in Switzerland. She also holds senior management positions at the World Rock‘n‘Roll Confederation and the Russian national federation. Katerina Tikhonova was born as Ekaterina Putina on August 31, 1986 in Dresden, East Germany, Vladimir Putin was posted while he was working for KGB. 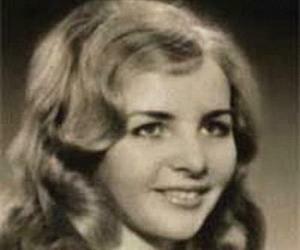 She is the younger daughter of Putin and his ex-wife Lyudmila Putina, and has an older sister named Mariya Putina. Her mother, who had once revealed that Putin loves his two daughters very much, got divorced from him in 2013. Katerina dropped her father's surname and adopted the patronymic name of her maternal grandmother, Yekaterina Tikhonovna Shkrebneva, as her surname. She attended German School Moscow, and later completed Oriental studies from St. Petersburg University, specializing in Japanese and history. She is currently attached to Moscow State University. 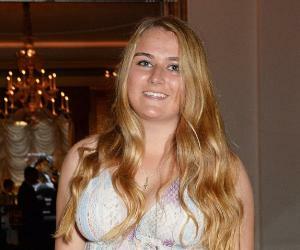 Since Vladimir Putin assumed power in 2000, speculation has been rife that Katerina Tikhonova is his younger daughter. 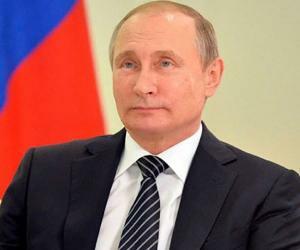 Putin has carefully shielded his personal life and that of his family members from the media. Nevertheless, numerous anonymous sources who have seen her grow up from a child have confirmed the rumors over the years and she has stayed in the news constantly. In 2011, Putin told Russian television that she had completed Oriental studies, specializing in Japanese and history, at St. Petersburg University. In January 2015, Russian blogger Oleg Kashin reported that she was active at Moscow State University and had taken the surname Tikhonova. During the same time Gazprombank’s Andrey Akimov, and two senior academic sources confirmed her to be Putin's younger daughter. According to a January 2015 report, Tikhonova visited Switzerland together with Kirill Shamalov, during which she identified herself as his wife. 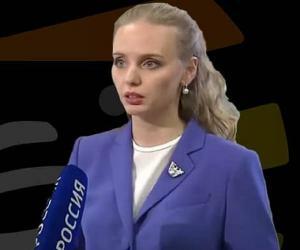 In October 2017, it was reported that she was one of the frontrunners among the next generation of Russia's elite and that Putin was grooming her to lead the country in the future. After long speculation, it was confirmed on November 28, 2017 that Katerina Tikhonova was the daughter of Russian President Vladimir Putin after World Rock‘n‘Roll Confederation officially identified her as such. In February 2013, Katerina Tikhonova married Kirill Shamalov, who is the son of her father's friend Nikolay Shamalov, a co-owner of Rossiya Bank, which U.S. officials have described as the personal bank of the Russian elite. The wedding ceremony was held in a heavily guarded and secret event at Igora, a ski resort in the hills about an hour’s drive north of St. Petersburg, owned by Putin's friend Yuri Kovalchuk. The couple reportedly rode in a traditional Russian sleigh drawn by three white horses, and the guests wore white scarves embroidered with the letters 'K&K' in red thread. Interestingly, marriage to Putin's younger daughter changed the fortune of the emerging businessman. He quickly rose up the ranks of the Russia's rich and acquired stakes at the Russian petrochemical giant Sibur, which raised the net value of his fortune to $2 billion. The couple also owns a four-storey property in the French seaside resort of Biarritz. In January 2018, citing four anonymous sources, Bloomberg.com reported that Katerina has separated from her husband Kirill. Reportedly, he sold his stake at Sibur and went back to working as a senior executive because his ownership privileges to those shares as Putin's family member ended with the marriage.